Here at B&K Timber we’ve been producing bespoke wooden gates for over 30 years, and pride ourselves on the exceptional quality of our timber gates, which are crafted with exceptional standards of care and precision. We’ve recently made the move to sell our wooden gates in Birmingham and the rest of mainland UK – offering free UK delivery with all of our gates. We stock many different styles of garden and driveway gates to ensure you can find a wooden gate which meets both your aesthetic and practical requirements. All of our wooden gates for Birmingham are made from high quality slow grown, joinery graded redwood timber using a stubbed mortise and tenon joint. We understand that every garden or driveway is different and so all of our gates are made bespoke to your measurements. We’ve provided a measuring guide to give step by step guidance on how to accurately measure your gates, and offer handy hints and tips throughout our website for the best fittings to go with each of our wooden gates. Our driveway gates include classic gates such as the simple, popular straight top design of the Sherwood Gate, or something more ornate like the Brereton Gate which features a sweeping swan neck design and spaced panels. Finding your perfect wooden gate has never been easier! Browse through our gate builder tool, to find the right gate for your garden or driveway. Got a question? Contact us about wooden gates in Birmingham! So, if you’re looking for wooden gates in Birmingham then look no further, we offer a diverse range of gates made from sustainable high quality timber and crafted to exceptional standards. You can take a look at our gallery to see some examples, and if you have any questions please don’t hesitate in contacting us. 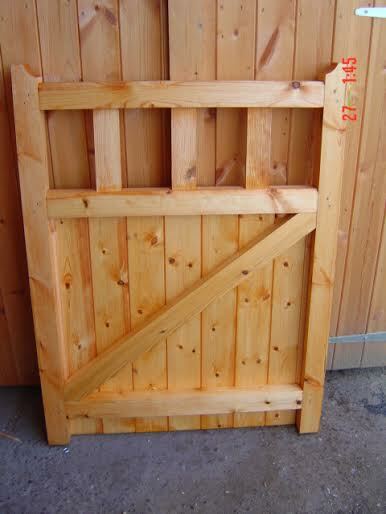 We also offer wooden gates in Stoke on Trent, the rest of Staffordshire, Cheshire and Birmingham.